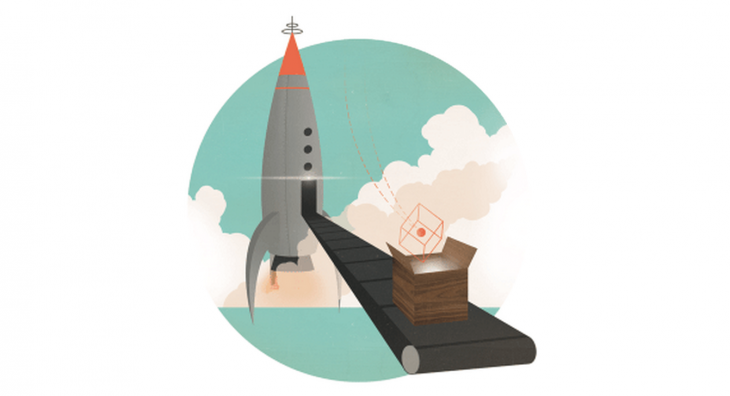 Launching a great product can be like sending a rocket into outer space. It requires tons of research, hard work, passion, and plenty of worrying. Finally you launch, and as you watch it disappearing through the clouds, it finally hits you that it’s completely out of your hands. Now, larger questions loom on the horizon: When do I prepare marketing materials? How do we best train our sales reps? How can we support customers? For some successful companies, product launches seem lightweight and effortless. For those less fortunate, they can be poorly timed, maddening, and just barely take off. Whether you’re part of a large launch team or a solo entrepreneur, a documented launch process can save you time, sanity, and even your product. In this piece, we’ll explain how product documentation can help you meet launch goals and empower your customer-facing teams and end users. According to Julie Hall and Joan Schneider, both Partners at Schneider Public Relations, a lack of communication and planning can be linked to the top reasons products fail. Specific reasons included poor timing, lack of planning for post-launch, and confusing product messaging. Luckily, a carefully created product launch plan can help address all of these issues by aligning departments with both strategy and execution. 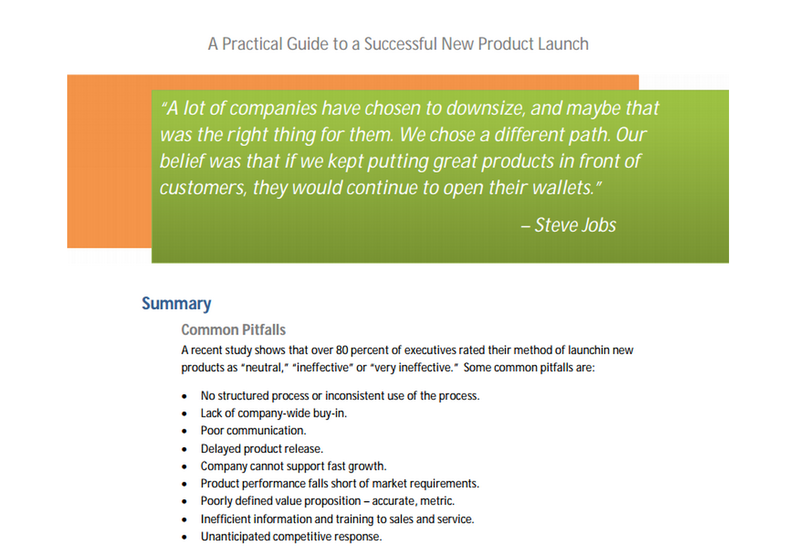 For a lean launch plan with helpful pointers, check out Demand Metric’s product launch plan. For more detail, Growth Technical Marketing has a launch plan that walks you through every step. Serial entrepreneur and Forbes author, Matt Clark reiterates that every successful product launch starts with a launch plan and calendar. To stay realistic, Clark recommends that your product plan can work backwards from the launch date to detail every step along the way. This detailed document can also be interpreted as a Go-To-Market strategy, which is the overall battle plan for your product. 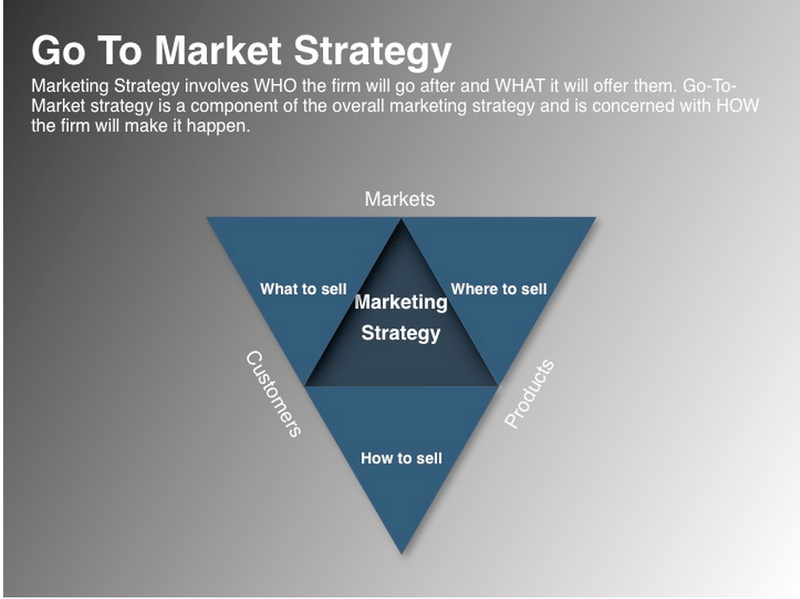 It’s important that your Go-To-Market strategy thinks about all marketing channels with a focus on customer segmentation. Identify all buyer personas and understand who will play (Actors) what part in what stage (Scene) of the sales cycle. Therefore, your product launch document should explain your launch goals, identify the most valuable segments, and lay out a plan of execution. For any new product launch, the goals must be clear and have a deadline. In fact, setting the simplest goals produces the best results. 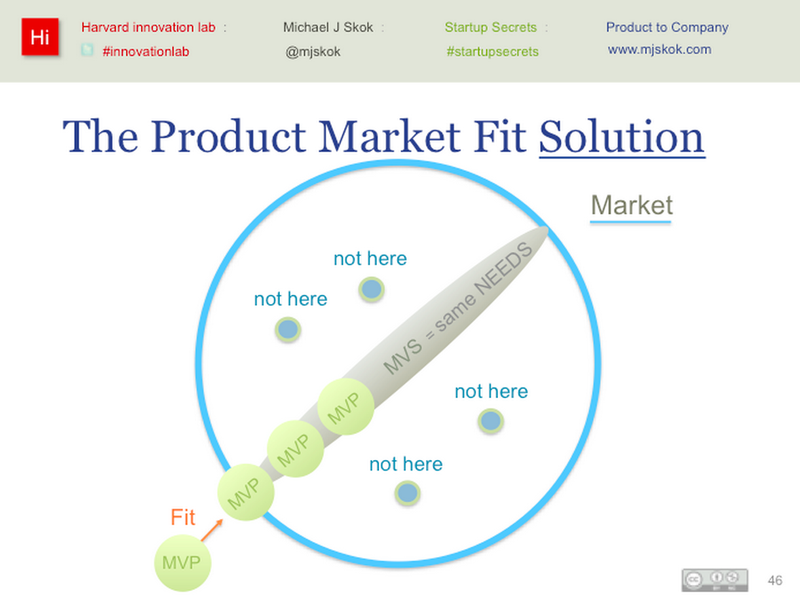 You need the clearest picture of success since your goals frame the purpose of your product. Sales Goals — These are probably the easiest to define since you already have sales expectations. Example: We will sell 8,250 units within 90 days of launch. Prospect Goals — Defining the number of prospects is especially helpful if you have a long sales cycle. Example: We will find 9,000 prospects within the 90 days of launch. Product Awareness Goals — This measures how much people care about your product. Example: We expect 12000 site visits and 15 news sites to pick up our press release within 90 days of launch. Customer Upsell Goals — Companies with existing products can use this to gauge relevance of new products to existing customers. Example: 15 customers will upgrade within first 90 days of launch. Product Defect Goals: Communicate clearly with development and QA so customer satisfaction (and therefore revenue) isn’t damaged. Example: Address high-priority bugs in 24 hours during first 90 days of launch. While sales and QA goals are clear-cut, marketing goals can be more qualitative. Make sure you work closely with marketing to define prospects so the sales team gets better quality leads. To best achieve your launch goals, focus your launch messaging on the MVS (minimum viable segment) who have the same problems you seek to solve. The “minimum” refers to a niche small enough for you to completely dominate while the “viable” denotes that they want a product you can deliver. As you can see above, the right MVS will give your new product the best chance at being adopted by the right people. Usually, members of the MVS are tightly knit and communicate via community forums or online groups. 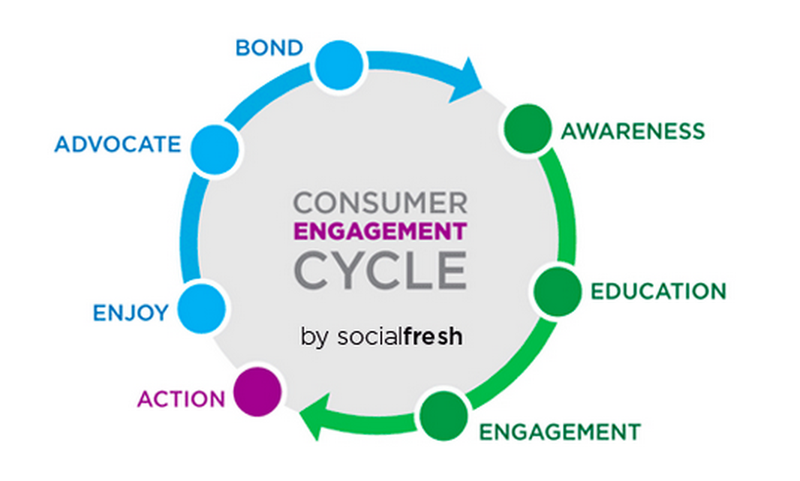 Therefore, this also sets up your product for a viral loop due to the ease of referral. Once you’ve found your MVS, you need to figure out the right messaging. KISSMetrics advises that it’s important to attach your launch messaging to a bigger story. For example, Google doesn’t just release updates — it’s changing the way the world finds information. Don’t just release features, make sure you communicate how you’re improving the customer’s life. It’s no use, after all, to plan marketing tactics when people don’t even care about you. 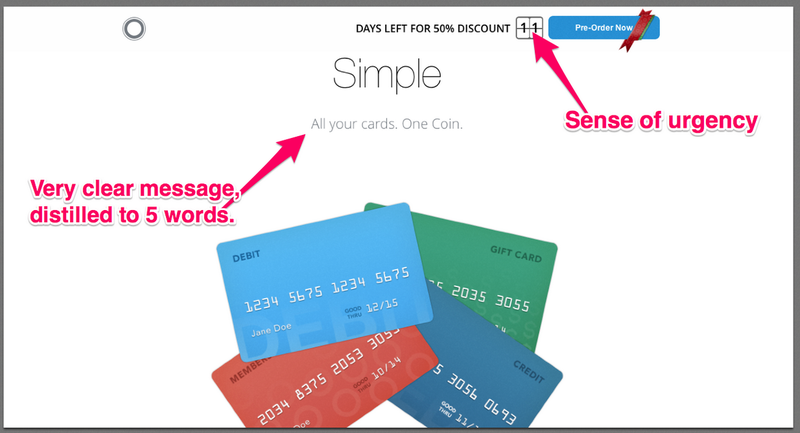 Payment device startup, Coin, is the poster child for targeting an MVS with the right messaging. In fact, Coin was able to go lean on marketing because they achieved superior product/market fit. The team developed crisp messaging to go after a segment ignored by big payment processors — millennials tired of carrying multiple credit cards — and targeted them online where they spend the most time. The tactics don’t need to be complex or expensive if your strategy is highly focused. Apply the same elegant thinking towards your overall Go-To-Market strategy and you’ll trim more fat while selling more products to people who will spread the word. For more information on how early-stage products should focus on the MVS, check out our Guide to Minimum Viable Products. Make sure your product launch plan includes a section naming the DRI — directly responsible individual. Demand Metric has a user-friendly launch checklist that also automatically populates a Gantt chart to keep everyone on track. According to Chris Guillebeau, New York Times bestselling author of “The $100 Startup,” a checklist helps make sure nothing slips through the cracks. As you approach launch, he advises signing up for all marketing and sales email notifications and buying the product multiple times to ensure smoothness. Big Picture — Has our sales team implemented incentives and rewards for early buyers? Has marketing ensured launch messaging is consistent across all channels? Next Steps — Has QA tested every step of the order process for edge cases? Has marketing ensured all custom ads and graphics are ready for channel partners? Launch Day — Has marketing scheduled a strong launch message to all our lists? 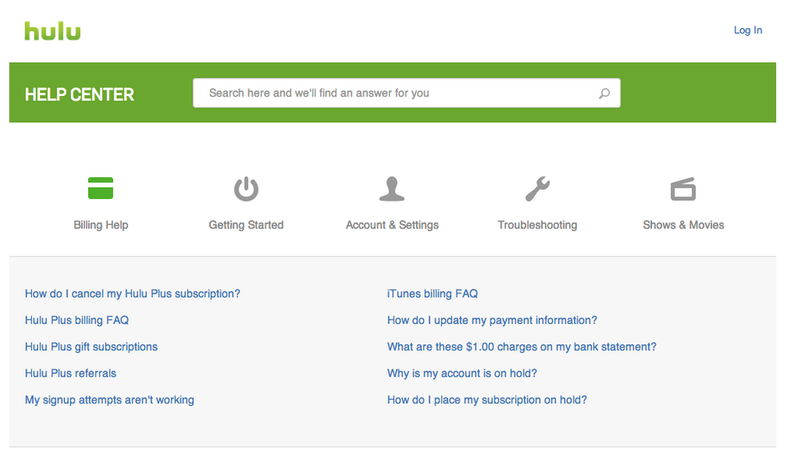 Has the product team checked that FAQs on the website reflect the latest build? Janine Popick, Founder of VerticalResponse, ensures her company’s launch checklist covers all department responsibilities down to the day. One of the most important checks, she advises, is making sure you launch on the right day. If you want to play it safe, you could do a soft launch near the end of the week and not announce until Monday (allowing yourself the weekend to resolve issues). If you want to make a big splash, consider going live with everything on a Monday or Tuesday. Once you finish your product checklist, you’ll have clearer visibility to keeping your Go-To-Market strategy on track. Product launch communications should be a two-way street — you need to inform your customers just as much as your internal teams. Pragmatic Marketing found that customers are increasingly self-sufficient as 95 percent of buyers purchased from companies who provided ample content, yet customers could only find relevant content 42 percent of the time. It helps if the content you create for product launches serves the dual purpose of informing customers and sales teams. Launch content can be a great selling tool since reps learn about what appeals to customers and can repurpose the material for lead nurturing. Below, we’ll show how a launch FAQs, demo videos, and case studies help fulfill this dual purpose. Compared to the traditional method of heavy manuals, a launch FAQ portal can be a much more scalable and user-friendly solution. A launch FAQ should be one of your top priorities as you approach the big day. You can create the content from top issues found during beta testing and update the content based on customer feedback loops. To assist with promotions, you can also create a subsection specifically for bloggers and media to answer questions such as “What’s the big picture?” “How are we different?” and “What’s the business model?” The Hulu portal example above is an excellent method to structure different questions for different audiences. 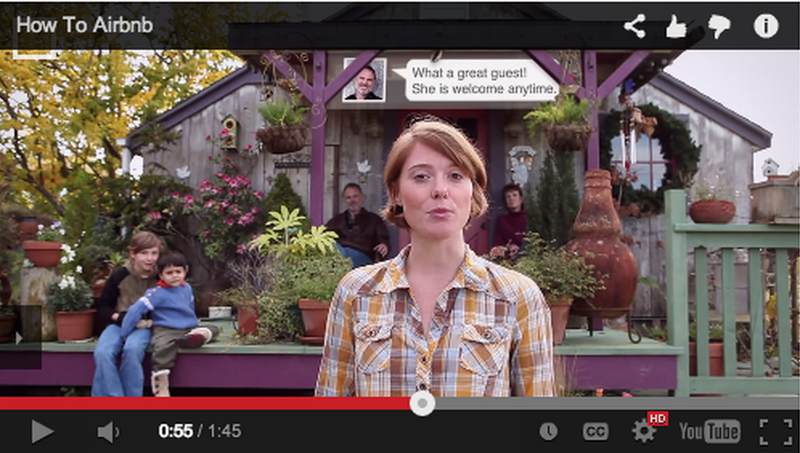 If a picture is worth a thousand words, then a video is worth a million. 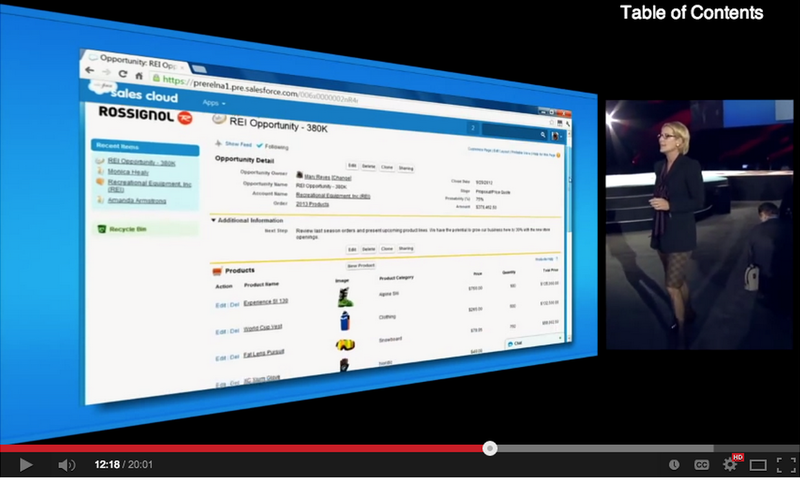 Demo videos are inherently multi-purpose since they easily inform the press, potential customers, and sales reps alike. Explain the problem — Carefully articulate your customer pain points. Show off your benefits — Show the goods and explain how they soothe customer pain. For tone and length, keep it lighthearted and under 2 minutes. Analysis of other explainer videos from companies like DropBox can be found in greater detail in the Guide to MVPs. There are few things more compelling for a potential customer than seeing someone reputable already using your product. Case studies are complex and requires trusted beta testers, but can catapult your launch to a whole new level. According to Pardot, today’s consumer finds about three pieces of content for every piece published by marketing or sales. As you can see above, Salesforce actually launched its Sales Cloud product by focusing on how Rossignol was already using it to better connect customers to their products in social channels. When creating your case study, make sure you feature someone relatable to customers, tell your story from start to finish, and include real numbers instead of buzzwords. Regardless of the medium, well-crafted content for your launch can persuade inbound customers and gives your sales team a powerful closing tool. 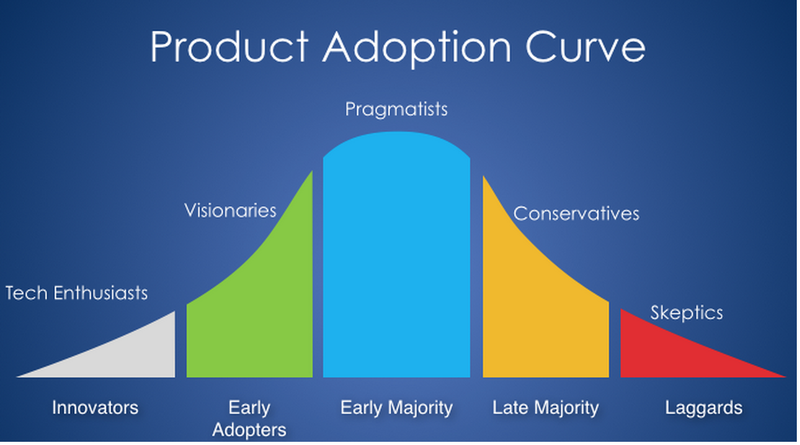 When it comes to product launches, your goal is to capture the uphill momentum of adoption from innovators, early adopters, and the early majority. The tricky part is that you really only have one shot. Fail to create momentum, and your “next big thing” will join the pile of great products nobody cares about. 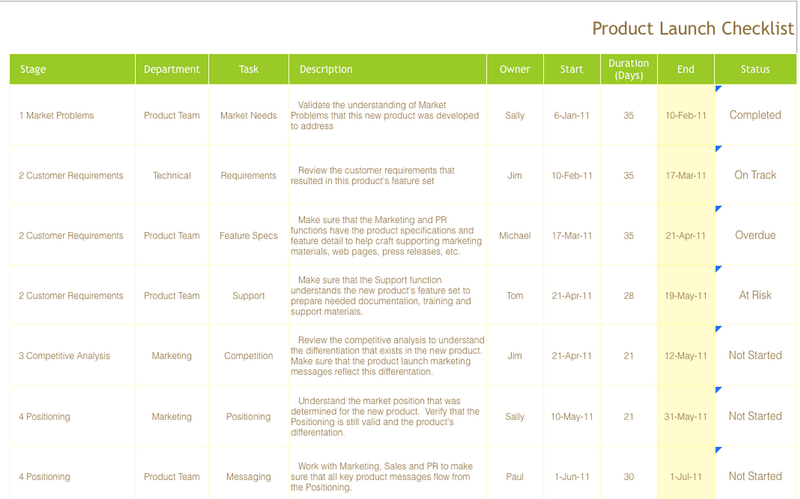 Smart product documentation lays out your launch roadmap and keeps customers interested and informed. Plan wisely, launch carefully, and then prepare to iterate tirelessly — that’s what will keep your product at the top of mind and market. For more advice on the process before and after product launch, check out the Guide to UX Design Process & Documentation.